In Fergana valley you can find small sleepy towns with many hidden treasures, such as "City of Angels", natural silk, great fruit and vegetable plantations, the forests of mulberry trees and the wide cotton plantations. There are a lot of beautiful canyons with Tien-Shan spruces and fir-trees there. Kokand - one of the most famous cities in Uzbekistan, formerly the capital of the powerful Kokand Khanate which once dominated the whole Fergana valley. Kokand located in eastern Uzbekistan, in Fergana province at the southwestern edge of the Fergana Valley. A traveler on his way to Ferghana first arrives in Kokand, which is an industrial, cultural, and transportation hub, and a land of popular poets, writers, scholars, art and culture. Kokand is 228 km southeast of Tashkent, the capital of Uzbekistan, 115 km west of Andijan, and 88 km west of the city of Fergana. Kokand is located on the crossroads of the ancient trade routes, at the junction of two main routes into the Fergana Valley, one leading northwest over the mountains to Tashkent, and the other west through Khujand. As a result, Kokand is the main transportation junction in the Fergana Valley. Kokand is a center for the production of textiles, food, and chemicals. Kokand has existed since at least the 10th century, when it was known as Khavakend and was located on a caravan route between India and China. Kokand was destroyed by the Mongols in the 13th century. The present city began as a fort in 1732 on the site of another older fortress called Eski-Kurgan. In 1740 it became the capital of the Kokand Khanate (a state ruled by khans) which reached as far as Qyzylorda to the west and Bishkek, Kyrgyzstan, to the northeast, included nearly the whole territory of present Uzbekistan. The Great Silk Road had played a major role in the development of the city. 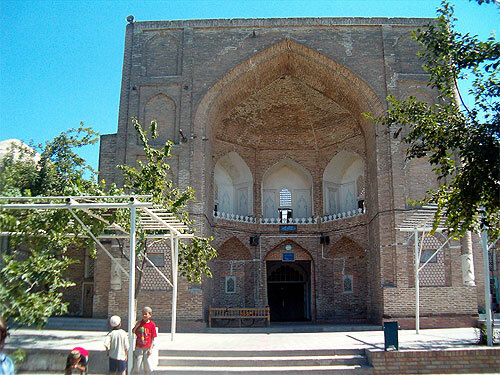 Kokand was the major religious center of the Fergana Valley under the khans. At one time it had more than 300 mosques. There were 29 khans in the history of the Khanate. The most outstanding ruler was its last khan - Khudoyar. From 1845 to 1876 Khudoyar-Khan was the ruler of the state just before the annexation of the Kokand Khanate to Russia. 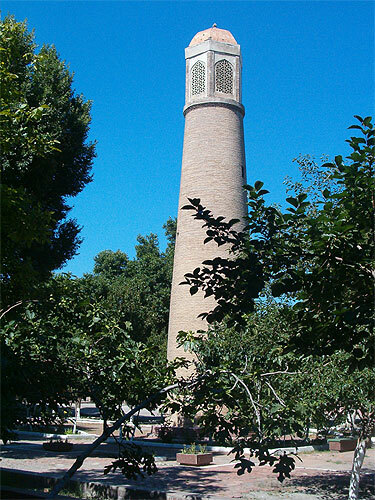 Many mosques and madrasahs were built during Khudoyar-Khan's reign. 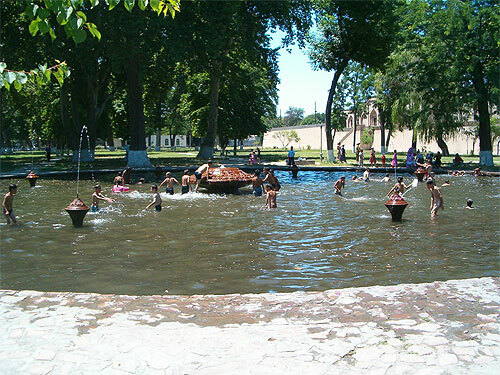 The Palace of Khudoyar Khan sits in the center of the city. The palace was built in 1860-1872 in magnificent style with seven courtyards and 113 rooms. Only two courtyards and 19 rooms have survived. The Palace occupied four hectares. Tsarist troops blew up its fortifications. At present the palace houses the museum of history. 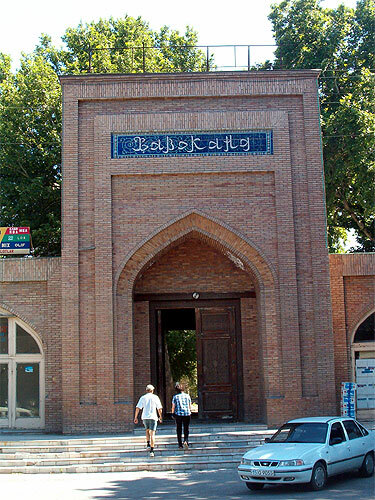 Narbutabey Madrassah - the largest religious school in Kokand, closed by the Bolsheviks in 1799, reopened again in the years of independence of the republic, instructing nearly 80 students. Madari Khan Mausoleum - was built, on the main cemetery, in 1825 for the khan's mother by the best architects of the Kokand Khanate. Dakhman-Shakhon (Grave of the Kings) - was the family mausoleum of the Kokand khans, built during the rule of Umar Khan (1809-1822) who was also buried here. A beautiful fence surrounds the mausoleum, as well as a prayer place. The entrance doors are decorated with carved inscriptions in Arab, taken from Koran, as well as verses written by Umar Khan himself. For a long time, the mausoleum was dilapidated and turned to ruins. In 1971 it was completely reconstructed by local handicraftsmen. More than 200,000 people live in Kokand. Over the last decade, new districts and public buildings have appeared in the city, with intense growth of individual houses, shops, cafes, restaurants and other private sector ventures. There are 2 institutes, 9 colleges and Lyceums, 40 secondary and 5 musical schools, a drama theatre, 7 clubs, and 20 libraries. The main cultural life of the city cannot be described without mentioning its museums. 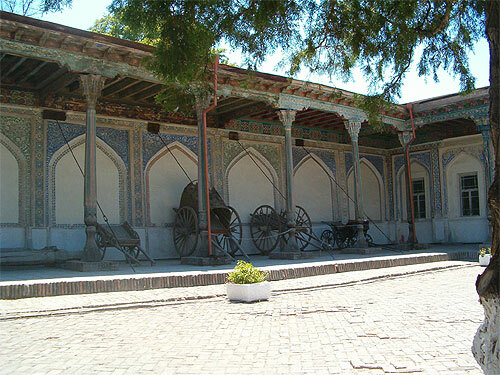 There are 7 historical and house museums located in Kokand.